I know I’m a little late posting this, but this is one delicious meal that had to go into the Seafood Battle. My wife is the one who grilled up this tasty treat for us tonight, so all props go to her: @keshathomas. To start with we purchased some fresh wild salmon. A generous amount of spices (garlic, pepper, maple syrup, etc) were added to give this dish an incredible flavor and texture. 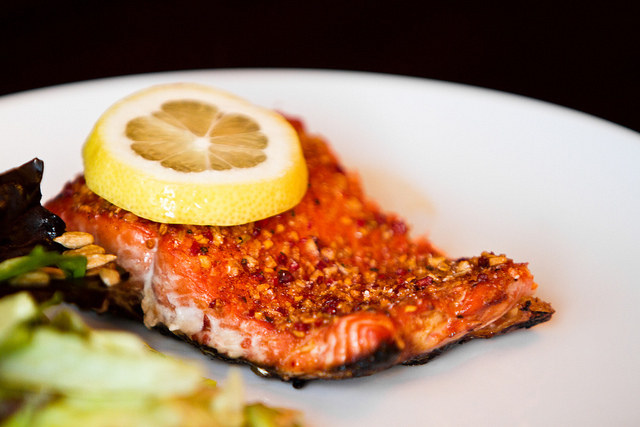 This dish was truly grilled to perfection! It had a beautiful crust and was tender and flaky. Before serving it was topped with fresh lemon juice and served with a side-salad. PS. Dessert was a low-fat banana cream pudding with wafer cookies. So dang delicious. But that will have to wait until DessertWar.com is launched (wink wink). Based on looks alone, this is one beautiful meal. 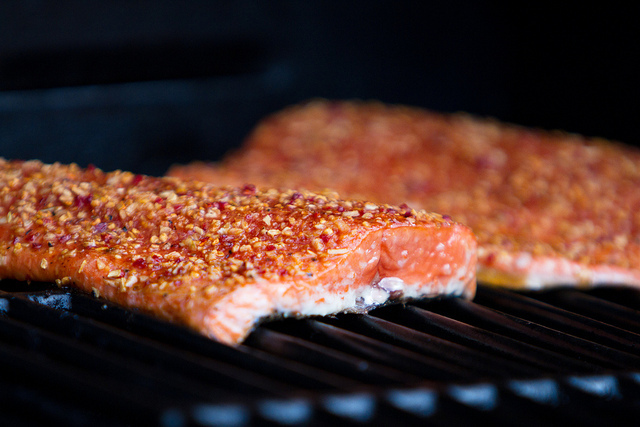 The seasonings and color give it a great looking texture and I’m sure, if you like salmon, this would be a tasty meal. However, I don’t like salmon! But great entry nonetheless.